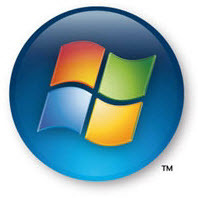 Microsoft released Vista’s latest update, Service Pack 2. Service packs are major updates to Windows. Often, as in this case, they include new features, and a lot of fixes to known problems. Notably, Vista’s SP2 includes better Wi-Fi and Bluetooth support, increased performance, and over 700 repairs. Vista SP2 will not automatically download just yet. You can install it by downloading here, or waiting a few weeks for it to be distributed with your other routine Windows Updates. Just in case you missed it previously, Office 2007 also had its release of SP2 adding some extra features including saving files as PDF built right in. This is now available through Windows Updates. International: Voltage and plug adapters vary between countries. Know before you go! If your appliance supports both 110V and 220V (see the power label), you only need an adapter, and not the whole clunky inverter! Speed through airport security. Clean up BEFORE you enter the security line. Place your cell, wallet, coins, and other items in a bag or carry-on luggage before entering the security line. Now just walk up, place your bags on the scanner, and walk through. On the other end, you can grab your bags and walk on, later re-locating things. Check reviews. There is power in numbers. Use tripadvisor.com to learn where to stay, what to do, and where to eat. Others place their tips so you know what is best and what isn’t! Flying wisely. Use kayak.com or tripeedo.com to find the lowest rates. They search other popular sites to give you an over-all view. Use farecast.live.com to see forecasted flight rates to know when to buy. Seatguru.com shows plus and minuses of every single seat on the plane. Have another good idea? Leave a comment on our site or email us. Mac/Windows/Linux: Dropbox syncs your files across two or more computers. This program makes it so easy! Basically you have a “virtual” folder. Anything you put in here is instantly copied to all the other computers. Example: While traveling with your laptop, you make changes to a Word document. When you get home, the document is there on your desktop computer with the updated changes. No files to copy or wrong versions to worry about. Don’t have your computer with you? You can access all your files via Dropbox’s web interface anytime. Need to send a large attachment? You can share specific files with others via a direct link. Dropbox helps your business send large files, synchronize remote workers, easy off-site backup, and recover deleted files. This program is smart. Visit getdropbox.com and click Download Dropbox. Choose Run to start the install. Ready to sync to your second computer? Just download and install there also and your ready! Dropbox comes with 2GB of storage for free. You can upgrade to 50GB for $9.99/mo or $99/yr. Note: Your results will vary by time of day, if you have other programs running, and/or if you have more computers on your network. 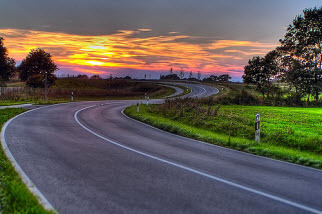 The Internet works in two directions, up and down, or upload and download. When you browse the web or check email you’re mostly using download speeds. This is why the download speed is always much faster from your Internet Service Provider (ISP). Upload speeds are becoming more important with new services like VoIP, online backups, and other services that SEND, or upload files. How do your speed tests compare with what you’re paying for? You may know Adobe Acrobat as the program that opens your PDF files. Did you know it is bloated and far slower than other tools that do the same and more? We haven’t used Adobe Acrobat in years (what is a PDF anyway?). We previously recommended FoxIt. It’s a bit faster, but doesn’t have all the features of PDF-XChange. Need a PDF converted to a Word document so you can edit, or copy the text? Use free online app, PDF to Word. Why so much about PDFs? PDFs replace paper. We print most documents to PDF, instead of real paper. Learn how in our Paperless Office series: Part 1, Part 2, Part 3. 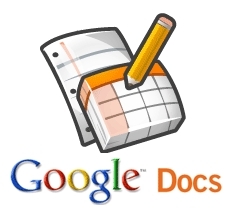 Google Docs let’s you create files and share online instead of using MS Word or Excel. This means everyone on your team is on the same page – live. Rather than emailing a document, changing it, and re-sending it, simply post existing documents, or create new ones on Google Docs, for free. Enter your colleague’s email addresses to share and work together. Will I have to re-create my documents? No, you can upload your existing documents. Do I have to upload all my documents? If you want to, or just the ones you want to share. So does this mean I see my own documents from any computer? Yes! Is this secure? You specify only those which you want to share each document with. Specify no one, or public. Is this only for documents or spreadsheets? No, Google Docs also supports presentations (like Power Point), and you can use Google Calendar for sharing events too! Our company is serious about online collaboration. What are other, more complete solutions? Check out BaseCamp!